“Affordable artist housing” has historically been an oxymoron, with creative professionals priced out of established neighborhoods, jettisoned to outskirts, forgotten towns, and run-down buildings. But from the Lost Generation to Andy Warhol's Factory, from the painters of La Belle Epoque to the Beats, history also shows that when a few artists are permitted the space to inspire and collaborate, they will have an outsize effect on the community around them. Whatever the types of makers involved, small creative collectives can be powerful catalysts for social evolution and technological innovation. In 2013, nonprofit housing development organization RUPCO bought a 70,000-square-foot brick warehouse in Midtown Kingston and creatively repurposed the space into 55 live/work artist rental units and multiple shared community spaces of varying sizes and shapes. The Lace Mill accepts housing applications from artists in every medium—craftspeople, poets, media artists, sculptors, jewelers—you name it. Income is part of the qualifying criteria. Eligible candidates are then interviewed by a panel and asked demonstrate a commitment to their work along with their vision for how they will contribute to the Lace Mill community. Leases are reviewed every year, but there is no end date or proscription to the arts represented. Apply to live at the Lace Mill. A positive effect on the community can come from artists having a space with the opportunity to inspire and collaborate with one another; Rupco's Lace Mill is one of those spaces. Safe Harbors of the Hudson has been a driving force of revitalization in Newburgh, restoring a block of real estate at the Liberty/Broadway junction with projects like the Ann Street Gallery; a new urban park; and Space Create, a collaborative workspace and gallery. 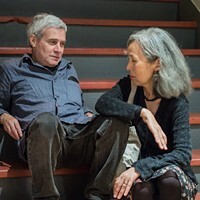 The Cornerstone and the East End Apartments are Safe Harbor’s answer to affordable housing—not just for artists but also for adults living with mental health diagnoses and physical disabilities, veterans, the formerly homeless, and other low-income individuals. 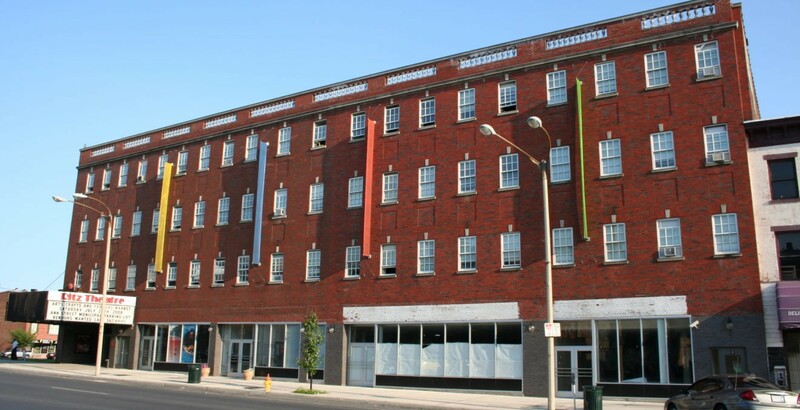 The Cornerstone Residence has 128 single-room studios including 12 artist lofts, all of which are fully furnished, single-room studios with private baths and kitchenettes. The Cornerstone facility includes a fitness center, library, computer lab and artist studio space. As a tax credit property, The Cornerstone has strict income requirements. Applicants that do not have a rental subsidy (e.g. Section 8) will be placed in a 50% unit with rents ranging from $510-$670, according to their income. Each year, rent will increase according to Fair Market Rents for Orange County. applicants that do have subsidies will be placed in a 30% unit. Apply for East End Apartments or The Cornerstone. 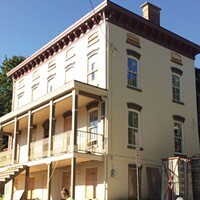 Among RUPCO's many programs and services, 2017 saw the beginning of a project to revitalize Newburgh's historic East End. 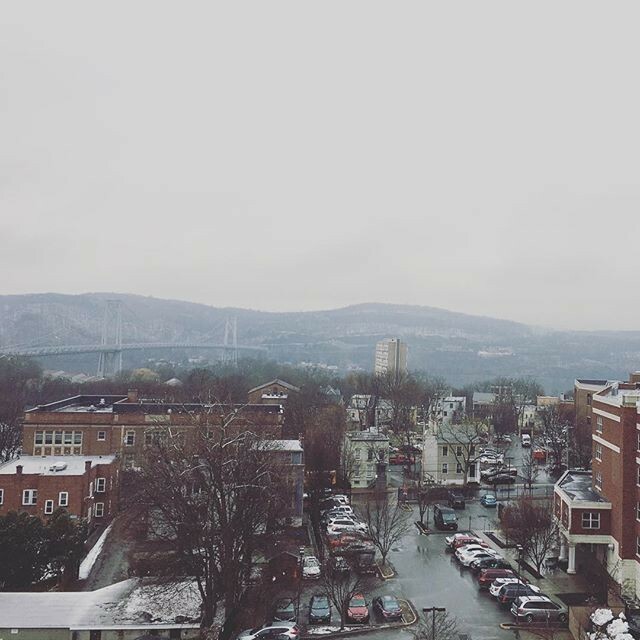 The view from the rooftop terrace of Queen City Lofts in Poughkeepsie. 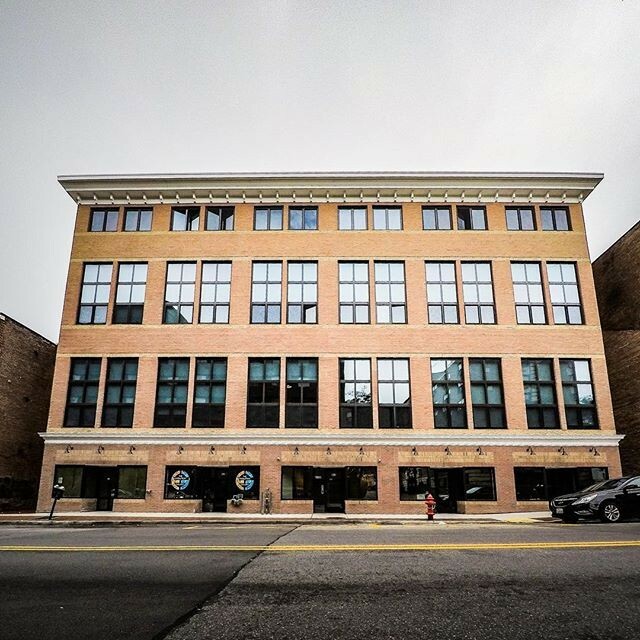 Queen City Lofts, a brand new LEED-certified building in downtown Poughkeepsie, will include a gallery space on the ground floor, communal spaces, and two-story artist loft apartments with 12-foot windows. 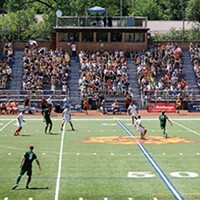 In order to qualify for Queen City’s low-cost artists lofts, at least one member of the applicant’s household must practice fine, design, graphic, musical, culinary, literary, computer, or performing arts; or have a profession that relies on the application of those skills in service of a creative product; e.g. an architect or craftsperson. The artist units will start at $716 per month for a one-bedroom and $851 for a two-bedroom. Download an Artist Certification Application. Like Queen City, Lofts on Main is a project by Kearney Realty & Development group that combines non-artist and artist loft apartments in one sustainable, LEED-certified complex. In both cases, the buildings are “designed in a way that will help the artists grow and prosper at their profession...and foster a strong sense of community.” That means shared spaces like a lounge, cafe, and a gallery on the ground floor. Lofts on Main features 75 two-story, loft-style apartments spread between two buildings that are joined by a community courtyard (50 of these units will give preference to artist applicants). Most of the apartments feature expansive 16-foot ceilings and 10-foot windows (with a rooftop terrace for gazing out over the Hudson). The artist units start at $888 a month for one-bedrooms and $1,059 for two-bedrooms. The non-artist units start at $1,350 and $1,600 respectively. To apply for housing you’ll need to get through the Peekskill’s Artist Certification Committee.